Wonder No More! Here Is Aquarius’S True Agenda Revealed! If an Aquarius could be described by just one word, it would be “creative”. Their minds are filled with authentic ideas that they love to test all the time. Another great quality of people born under the sign is their sincere wish to help others. Aquarians can make good friends although sometimes they look a bit detached.  Aquarius reps are rebellious at heart, they hate it when they’re told what should be done. Being highly inventive, they’re eager to stand out from the crowd. They feel they’re special and don’t want to be equated with others. As Aquarius people are leaders at heart, this desire is not unachievable for them.